Fresh looking theme for your blog. Lookout is a free theme so you can save your money and enjoy your writing and share of your ideas. If you are an enthusiastic blogger, you’ll want to be sure that your written minds and opinions are displayed in a perfect way. That’s why we have created this free, pixel perfect WordPress theme. It’s clean layout tells a story through imagery, well-chosen fonts and nothing will distract your visitors. 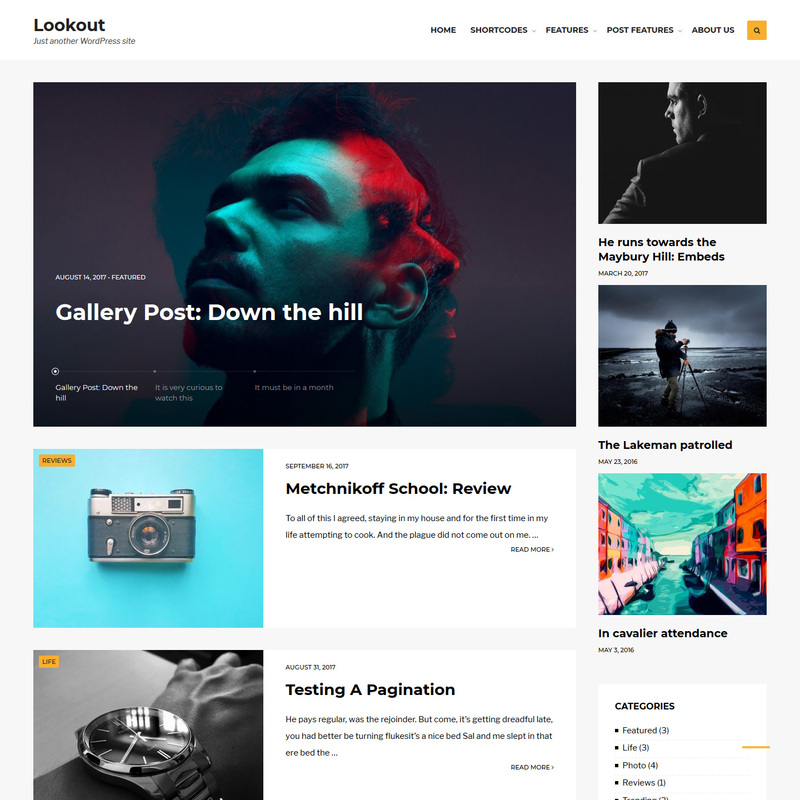 Lookout theme is developed with performance in mind, development follows latest WordPress standards and you can use native customizer to setup own color scheme for your site. Lookout theme lets you change more than 23 styling options through Customizer, setup main slider and much more. © 2018 wpmasters.org - Focused exclusively on beauty & functionality.